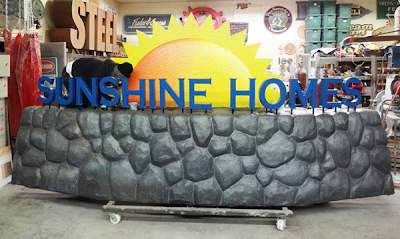 The Sunshine Homes sign has been dominating our shop space for quite some time. We’ve walked and worked around it since fabrication began. Rebecca painted the rock work with blends of grey and back and then we added two colors of speckles to make it look like granite. 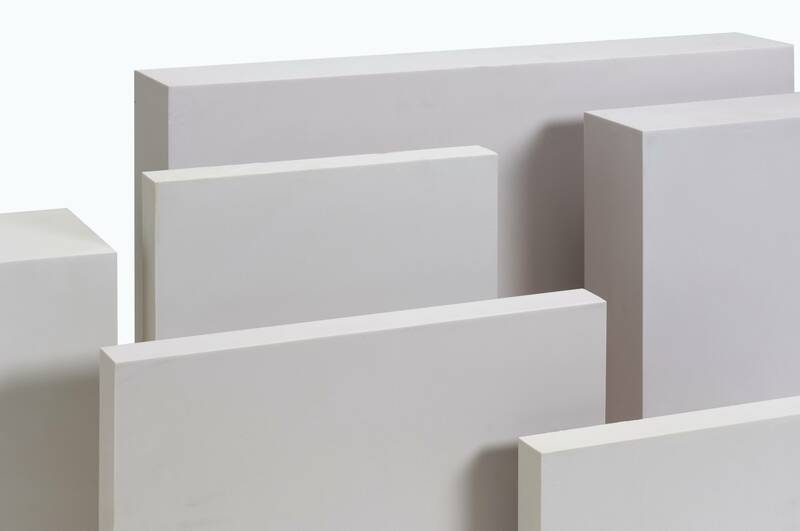 We did that using an undercoat gun which works extremely well. The key is to use low air pressure – about 25 lbs. Today we are doing the last of the painting process, the grout lines and small touch-ups. Sarah and Hailey did that work today. I didn’t get a shot of Hailey but grabbed these of Sarah as she squeezed into the top to do the tricky work there. 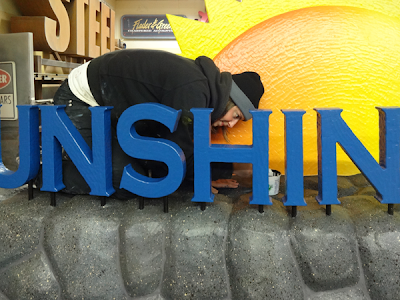 All that is left now is to install the LED lighting and then move the sign out to the parking lot in readiness for loading on the truck. As soon as the LED’s arrive I’ll document that process and then the sign will be on the way at last.